My Teal Kitties are Here! 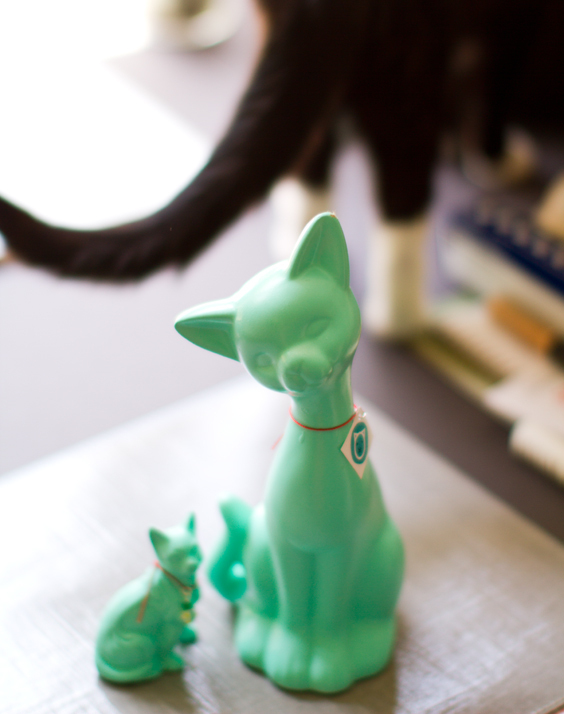 My Teal Cat Project teal kitties have arrived!.. 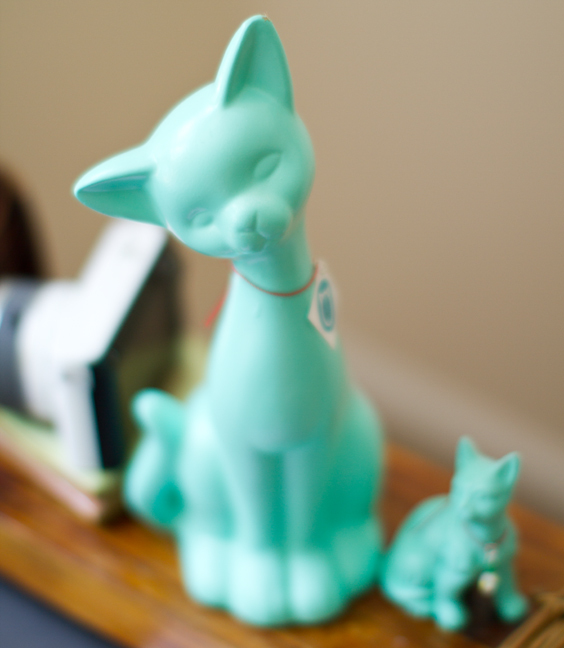 The Teal Cat Project: I'm a fan. The Who? I immediately recognized the amazing Isa Chandra Moskowitz in the "Who We Are" section of the website. A few other talented kitty lovers put this project into action: Anna Dorfman, Leigh Ellis and John McDevitt. Bravo team teal cat! You can also purchase TCP tees - or simply make a donation to the cause. 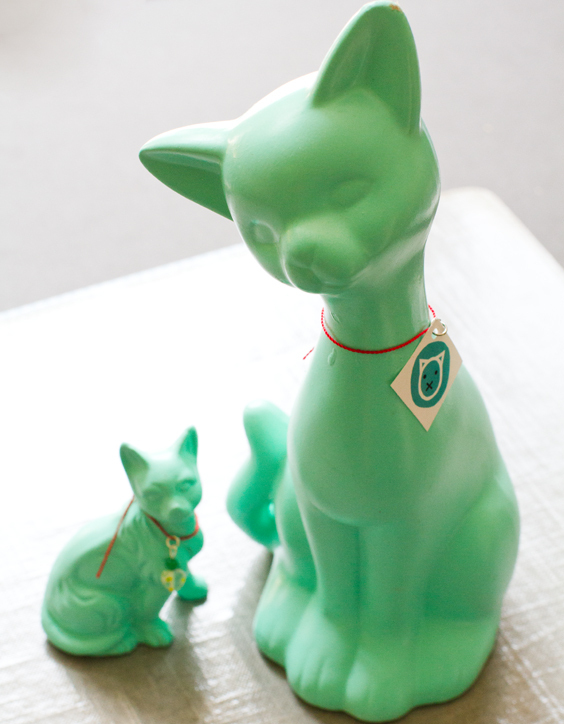 Or even better - donate a kitty cat - mail in a kitty cat to be upcycled into a freshly painted teal kitty cat for upcoming litters. Learn more about this inspiring project on The Teal Cat Project website. Like them on Facebook. And read my interview with Isa from my Veggie Girl Power Series. 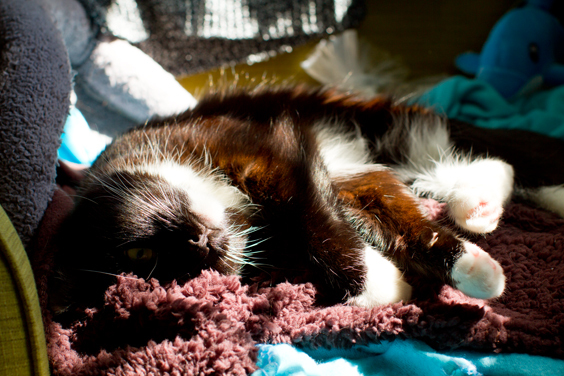 My not-so-teal kitty cat rolling in a sunbeam-lit pile of snuggly clothes..